Rapunzel Naturkost, the German natural and organic foods firm, has announced that it is acquiring Zwergenwiese, a producer of organic vegetarian spreads, sauces and other products. Terms of the deal were not disclosed. Founded over 30 years ago and located in Legau (Bavaria), Germany, Zwergenwiese produces a range of over 100 organic vegetarian foods, including meat substitutes, dairy alternative cheese, savoury spreads, mustard, tomato sauces and fruit spreads. It employs around 100 staff. 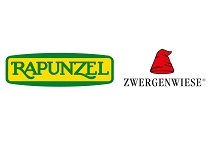 Following the transaction, Zwergenwiese will continue to operate as an independent business, Rapunzel Naturkost said in a statement. Commenting on the deal, Rapunzel Naturkost CEO Joseph Wilhelm said: “Rapunzel and Zwergenwiese have made an important contribution to the organic food industry since its early days. The inherent values of both firms, including organic quality, social engagement and respect for the environment, form the basis of our positioning relative to the competition. We reaffirm our commitment to the natural and organic sector”.